I bet you thought I forgot! I did not. And I intend to stay on track as well. 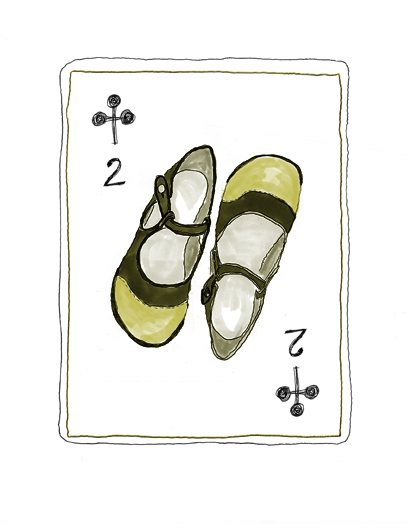 This week is the two of spades. What does a practical, thrifty girl like the queen need in twos? A pair of shoes! A pair of mary janes to be exact.